If you have been reading our slot guides, then you should be well acquainted with how the genre works. You will also have taken notice that there are thousands of slots in the online gambling industry across hundreds of unique online casinos. With so many options to choose from, it could be daunting to actually settle for a single game. To help you out in this, we have compiled a list of the slots with some of the highest RTP values on the market. Below, you will find semi-detailed reviews of each game, where we mention the most important features for each title. At the top of our list, we have Steam Tower, one of the more recent NetEnt titles to be released. Steam Tower features an interesting steampunk theme, often not seen in the realm of online slots, giving you the opportunity to experience something truly unique. Not only is the aesthetic intriguing but the graphics also lend themselves quite well to the overall feel of the game. Despite being the slot with the lowest RTP on this list, Steam Tower comes in with an impressive 97%, significantly above the average for the industry. 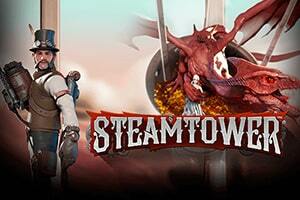 As for the gameplay features, Steam Tower comes with 5 reels and only 15 individual paylines. Betting options are quite wide, allowing players to bet up to 10 coins per payline, with each coin having a maximum value of $1.00. While the game offers all of the typical features for a slot game – Wild and Scatter symbols, autoplay, etc. – the crowning jewel comes in the form of the bonus round. When you trigger it, the character will start climbing the tower and you get free spins for your troubles. For every Wild that you spin during this round, you will gain extra spins and the character climbs another level. Upon reaching higher levels, a multiplier will be applied to any winnings you earn up to a maximum of x7. Overall, Steam Tower is one of the most innovative titles to come out in recent years and it is one of your best options. The first and only Microgaming title on this list, Break Away has been in the online casino scene for quite some time now and it has been generally liked by fans of the genre. Depicting the professional hockey scene, it caters to sports fans and is one of the main games to feature a sports theme. 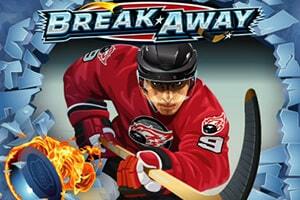 As for gameplay, Break Away utilizes the 243 ways to win system and employs 5 reels. Players may bet up to 10 coins, each with a maximum value of up to $0.25, allowing both casual gamers and high rollers to thoroughly enjoy this title. Wild symbols are available in the form of the game’s logo and these can substitute for any other symbol on the reels. Moreover, they can also be stacked on the third, fourth and fifth reel to give you a better shot at forming winning combinations. The Smashing Wild feature will have hockey players randomly crashing onto the second, third and fourth reel, causing the respective reels to be covered in Wilds. There are also free spins for those interested. You can trigger a round of up to 25 free spins by scoring 3 or more Scatter symbols on the reels. During this, the Rolling Reels feature will come into effect, awarding consecutive wins and applying a multiplier of up to x10. Overall, Break Away has much to offer you and you should certainly try this game out. Rock On is most likely to be the least popular game on this list, primarily due to its software provider. Developed by Rival Gaming, this title does not enjoy the largest player base, but then again not many gamblers have been exposed to it. Regardless, it is still worth talking about. Showcasing a rock concert, Rock On looks like it came from the earlier years of the online gambling industry. The graphics are silly and cartoonish, but devoid of their charm. 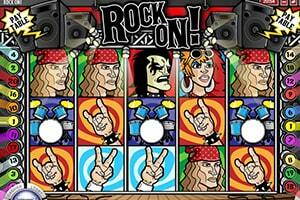 Rock On includes 5 reels and 20 paylines, as well as good betting limits. You can wager up to 10 coins per line, each with a value of up to $0.25. In terms of gameplay, you will find no lack of features. The Wild symbol takes the form a guitar and while it does not have its own individual paytable, it does double the winnings from any combination in which it participates. Moreover, it can also expand to cover the whole reel in Wild symbols. The Scatter can trigger 10 free spins with a multiplier of x3, provided that you hit 3 or more of that symbol anywhere on the reels. The Elvis Bonus symbol is the key to triggering the bonus round. Rival Gaming has made some excellent titles in the past and it is a crying shame that many of them have not gained the recognition that they deserve. Rock On is a prime example of that. Not only does it offer all important features for a slot game, but it also comes with a great RTP value of 97%. There isn’t much more to ask for and we recommend that you try a few spins on Rock On when you come across it. Hot Ink might not be the more recognizable slot game on the market but it is surely one of the most worthwhile ones. With a tattoo parlor theme, then this game might be right up your alley if you are into body art. This title does not use the traditional payline system, replacing it with 1024 ways to win. Brought to us by Microgaming, Hot Ink greatly benefits from the expertise of the company behind it as do the users who play it. With a generous RTP of 97.50%, Hot Ink stands as one of the fairest casino titles out there. As far as gameplay features are concerned, Hot Ink does include typical ones like Wild and Scatter symbols, multipliers and free spins. There are also some more interesting ones such as the Respin function. Whenever you spin an undesirable result, you will have the opportunity to respins some of the reels at an additional cost. This feature could come quite in handy when you are one symbol away from a large win. Additionally, there is also the bonus game to consider. Spinning 3 or more Tattoo Bonus symbols will trigger it and you will be able to pick tattoos, allowing you to earn cash rewards and a complete set will earn you free spins with a multiplier. Hot Ink may not be the most well-known title out there but it is one of the most solid where gameplay is concerned. It comes with all of the important features and also includes some more exotic ones. Last but not least, the RTP values are among the best in the industry and you can have an excellent time with this slot. 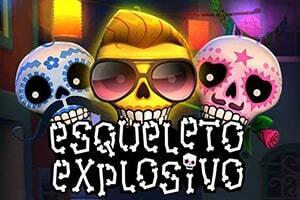 Inspired by the renowned Mexican Day of the Dead, Esqueleto Explosivo offers players a fun and exciting game. Much like any other modern slot, features 5 reels upon which you will find 17 paylines. Betting options are quite generous, allowing for up to 1 coin on each of the 17 paylines, each with a maximum value of $100. As for the RTP of the game, you will find the 97.60% to be well above the genre average and that is satisfactory for many gamblers. Gameplay features are abundant and you will no doubt be pleased with what Thunderkick has included. Explosivo Wilds are used in place of traditional Wilds and while they still have the ability to stand in for other symbols, spinning an Explosivo Wild will blow up the surrounding symbols and apply a multiplier on any winnings. This multiplier ranges between x2 and x32, allowing you to score some excellent wins under the right conditions. Finally, we come to the Dropping Symbols feature. Basically, when you score a win, the winning symbols are replaced with the ones above, allowing to potentially score even more winning combinations. Esqueleto Explosivo does not deal with bonus rounds and other features that take you away from the experience. All of the good moments take play directly in the general gameplay and the special addition truly make this title worth it. 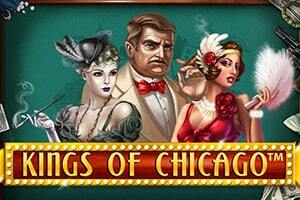 Yet another NetEnt addition on our list, Kings of Chicago is one more unique titles that we will feature here. This game is more traditional in its gameplay, offering only five paylines, though it does allow you to bet a lot. Up to 10 coins can be wagered per payline, with a maximum value of $1.00 each, which makes for a max bet of $50. Immediately, you will notice that Kings of Chicago uses traditional playing cards as its symbols and the combinations you form classic poker hands, ranging from a three of a kind to a natural royal flush. The natural royal flush is the highest paying combination in the game, rewarding you with 10,000 coins. The Wild symbol comes in the form of a Joker card, with the ability to stand in for any other symbol on the reels. Scatters are also available, though these are random and they do not have their own symbol. Spinning three of or more Scatters at once will reward you with 2 free spins, or as they are known in this game – Free Deals. They also apply a x2 multiplier on any winnings and spinning 3 more Scatters will reward you with more Free Deals. Kings of Chicago brilliantly blends the line between video poker and video slots, providing you with a one-of-a-kind experience. It is exactly what we would expect from an experienced and renowned software provider like NetEnt and the high 97.80% RTP makes this title one of the more worthwhile. 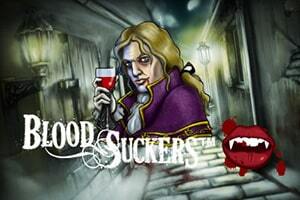 One of the most popular slots in the whole industry and an all-time classic in the eyes of many gamblers, Blood Suckers stands as one of your best options in terms of both entertainment value and fairness. This title comes with an astounding 98% RTP, some of the highest in the industry. Running on the NetEnt platform, Blood Suckers has remained a constant in the online casino scene for many years and its popularity has not waned over time. This game features the traditional 5 reels and 25 paylines setup, with the option to bet up to 4 coins on each payline. The value of the coins can be anywhere between $0.01 and $5.00, thereby allowing you to play for high and low stakes at your own discretion. The vampire theme has always been a crowd pleaser and it is on full display in Blood Suckers. The reels are adorned with various items relating to the modern vampire mythos, including garlic, stakes, spell books, potions, and popular vampire characters. There are several special symbols in this game, including Wilds, Scatters and Bonus. The Wilds can substitute for any standard symbol, while three Vampire Bride Scatters will trigger a round of 10 free spins with a x3 multiplier. The Bat and Sledgehammer symbols serve as Bonus symbols and spinning three of them will initiate the bonus game. You will have to open coffins and stab sleeping vampires, rewarding you with cash prizes for each successful stab. The mini-game goes on until you open an empty coffin and you collect what you have earned up until that point. 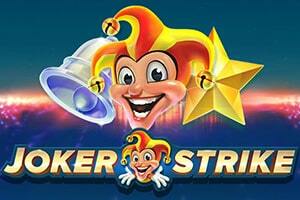 Joker Strike is an interesting video slot from Quickspin that embraces the style of old-school games. While this game is on our list, technically the base gameplay comes with a lower RTP of ~96%. The 98.11% is for the Hi Roller feature which you can activate at any point in the gameplay session. This feature is iconic for this game and it gives you the opportunity to score some large wins. There are three different levels of the Hi Roller feature, each with a different cost – $20, $30 or $50 for 5 spins. Depending on the level that you chose, you will gain guaranteed Wild symbols in your game, placed randomly on the reels. The more expensive the spins, the more worthwhile the Wild interactions become. We also have to talk about the Joker Strike feature for which the game is named. Around the reels, there is a line surrounding them. The feature adds symbols to the reels if the outside markers stop on the symbol on the line. Depending on the circumstances, you can add up to 10 extra symbols to the reels. This feature is available in both the base gameplay and in the Hi Roller mode. Yet another Thunderkick title, 1429 Uncharted Seas has become a staple for this software provider. It is not only one of the most entertaining games on the market but also one of the fairest, with an RTP value of 98.63%. This way above the industry average making the game an instant hit with gamblers. The first thing that will strike you when you first open this title is the graphics style. 1429 Uncharted Seas has mostly unique visual, with the game interface portrayed as a map made of parchment. The graphics are unique and really contribute to the overall atmosphere of the game. As for the gameplay, you will find 25 paylines spread out along 5 reels. 1429 Uncharted Seas includes Wilds and Scatters in the form of a Ship and Compass, respectively. The Wild only appears on the second, third and fourth reel and can expand vertically to help you form more combinations. The Scatter, on the other hand, is your key to unlocking free spins. To do so, you need to land 3 or more Scatters anywhere on the reels, triggering 10, 20 or 50 free spins, depending on the number of Scatters involved. 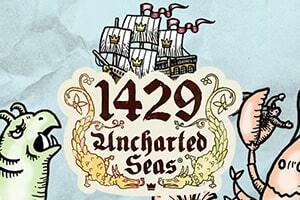 1429 Uncharted Seas is a nice and simple game that suits both casual players and high rollers. It does not come with any convoluted features and the straightforward rules will allow you to easily pay attention to what is happening. It is one of the best titles that Thunderkick has come up with so far and we recommend that you give it a shot. Mega Joker is the last addition to our list and arguably the game with the highest RTP in the current online gambling industry. Standing at 99%, you will be hard-pressed to find a slot with a better payout percentage. It is developed by NetEnt and seeks to emulate the fruit machines of days gone by, but also adding a modern twist to the gameplay. What is striking about this game is how it includes 2 sets of 3 reels. The symbols in the game are mostly fruits, with the odd joker thrown in there for a good mix. 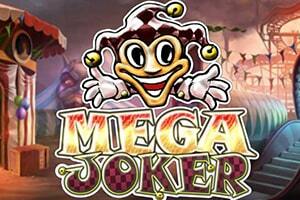 Mega Joker is an interesting title as it is practically a casual player and high roller game mixed into one. This is where the two sets of reels come in. When you first start the game, you will be placing regular bets of up to 10 coins on the bottom set of reels. Once you score a win, you will have two options. One is to cash in your winnings and continue spinning the same reels. The other is to move your funds to the Supermeter, where the payouts are 10 times higher but the minimum bet starts at 20 coins and goes up to 100 coins per spin. If you choose to move your winnings to the Supermeter, you can play as long as you have funds or until you choose to collect them back to your primary bankroll. It is worth noting that the above-stated RTP counts only when you play with 10 coins on the bottom reels and the Supermeter.